An evening pause: With high hopes for the new year. Hat tip Edward Thelen, who I thank for trying to offer me videos from a source other than youtube. Unfortunately, by the time this appeared, it was gone at that source and I had to rely on youtube. Using several instruments, the Juno science team has successfully photographed an active volcano plume in Io’s polar regions. Two instruments measured the plume’s heat and radiation. Juno’s cameras meanwhile took the color image on the right. The bright spot on Io’s night side matches the location of the heat and radiation signatures from the other instruments. JunoCam acquired the first images on Dec. 21 at 12:00, 12:15 and 12:20 coordinated universal time (UTC) before Io entered Jupiter’s shadow. The Images show the moon half-illuminated with a bright spot seen just beyond the terminator, the day-night boundary. “The ground is already in shadow, but the height of the plume allows it to reflect sunlight, much like the way mountaintops or clouds on the Earth continue to be lit after the sun has set,” explained Candice Hansen-Koharcheck, the JunoCam lead from the Planetary Science Institute. 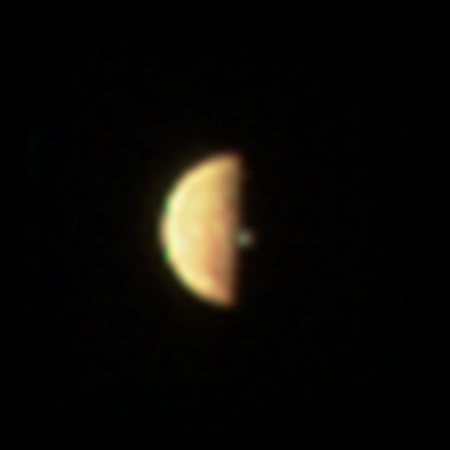 This image is not the first time a spacecraft has caught an active volcanic plume on Io. In fact, practically the very first good images of Io during the Voyager 1 fly-by did this, confirming then that volcanoes are active on the Jupiter moon. What this image further confirms however is how active Io really is. Volcanoes erupt there so continuously that it apparently isn’t that hard to catch one as it happens. The new colonial movement: Engineers have adjusted Chang’e-4’s lunar orbit in preparation for landing.on the Moon’s far side. The probe has entered an elliptical lunar orbit, with the perilune at about 15 km and the apolune at about 100 km, at 8:55 a.m. Beijing Time, said CNSA. Since the Chang’e-4 entered the lunar orbit on Dec. 12, the ground control center in Beijing has trimmed the probe’s orbit twice and tested the communication link between the probe and the relay satellite Queqiao, or Magpie Bridge, which is operating in the halo orbit around the second Lagrangian (L2) point of the earth-moon system. They need to time the landing so that it comes down in the Moon’s early morning. This will not only provide better visuals, with shadows to see surface details, but more importantly will give them 14 Earth days before sunset to get settled on the surface and initiate rover operations. They’re coming for you next: Manny Yekutiel, a leftist Jewish cafe owner in San Francisco who worked on the election campaign’s of both Barack Obama and Hillary Clinton, is now being picketed and attacked by other leftists because he supports Israel. The Lucy Parsons Project echoed, “Come out Tonight and every week Wed. at 6:30pm to help our comrades at Black and Brown run this gentrifier Zionist Manny (Emmanuel Yekutiel) the [deleted] out of San Francisco!!! It doesn’t matter that this guy created a cafe aimed at promoting Democratic leftist politics, he is Jewish and not black or brown and supports the only democratic nation in the Middle East. His business must be shut down! Maybe they should try smashing the windows of his business and looting it. It has worked before. The new colonial movement: India’s government yesterday approved the proposed manned space program put forth by ISRO, that nation’s space agency. The Union Cabinet on Friday approved the Gaganyaan Programme with demonstration of Indian Human Spaceflight capability to low earth orbit for a mission duration ranging from one orbital period to a maximum of seven days. A human rated Geosynchronous Satellite Launch Vehicle Mark III (GSLV MK-III) will be used to carry the orbital module which have the necessary provisions for sustaining a 3 member crew for the duration of the mission. Reportedly, India plans to call its astronauts “Vyomnauts”. The total fund requirement for the programme is Rs 10,000 crore and will include the cost of technology development, flight hardware realization and essential infrastructure elements. So far, ISRO has spent Rs 173 crore in developing critical technologies needed for the for human space flight. Two unmanned flights and one manned flight will be undertaken as part of this programme. The approval includes a deadline for the first manned mission of 40 months from today, or April 2022. This is an extremely tight schedule. I would not be surprised if they fail to meet it. The new colonial movement: China today used its Long March 2D rocket to launch the first satellite in a proposed 320 satellite constellation designed to provide worldwide phone service. Once completed, the satellite communication network will take the place of the ground-based network and allow a mobile phones to be connected everywhere on the planet, either in a remote desert or at sea, according to CASC. The project has drawn an investment of about 20 billion yuan (about 2.9 billion U.S. dollars) for its first phase, making it the largest investment for a single commercial aerospace program in China. This constellation is essentially in direct competition with Iridium. In the national rankings, China tops the U.S. 38 to 34. It also came only two launches short of meeting its ambitious goal of 40 launches in 2018, an achievement that pretty much doubled its previous launch record. I am preparing my annual launch report. Stay tuned. An evening pause: Hat tip Phill Oltmann. As always, I could use some evening pause suggestions. If you’ve done it before, you know what to do. 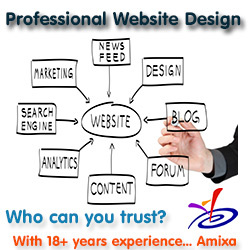 If you haven’t but wish to submit something, say so in a comment here, but don’t post the link to the suggestion. I will email you for it. 8 comments	capitalism, commercial, competition, engineering, How Do They Knit a Chain-Link Fence? Because of the decommissioning of one of their two Soyuz launchpads at Baikonur in late 2019, the Russians will have a significant launchpad bottleneck in 2020. According to the official, the so-called Gagarin’s Start launch launchpad at the site number 1 would be put out of exploitation due to the upcoming decommissioning of the Soyuz-FG rocket. The source noted that a large number of Soyuz launches planned for 2020 was related to the implementation of the OneWeb internet satellite constellation project, which would require up to eight launches. Moreover, from five to seven launches of manned missions on Soyuz and Progress spacecraft to the International Space Station (ISS), as well as several launches of unmanned spacecraft have been planned. The source continued by saying there was a “bottleneck” in the capacity of the testing facility at the launch site 31, which amounted to 15 rockets per year. It appears that this limitation of 15 launches per year is going to put a crimp on something. Since the Russians will make money on the OneWeb launches, those will get first priority. What next? The unnamed additional launches almost certainly include some military satellites, as well as communications, Glonass GPS, and Earth resource satellites needed by Russia. Will they get sacrificed to maintain Russian launches to ISS? If the U.S. is no longer flying our astronauts on their rockets and paying them for it, I can see them cutting back here to fly some of those other satellites. Either way, for Russia to be cutting back on launch sites at a time when the rocket industry appears to be booming is a clear sign of big problems there. I suspect that they had intended the Vostochny spaceport to pick up this slack, but the corruption and delays there apparently make that impossible. Moreover, they have lost most of their commercial business, and appear unable to figure out ways to recapture it. The new colonial movement: Saudi Arabia has created its own space agency with the goal of diversifying its economy. The man chosen to lead the agency, 62-year-old Prince Sultan bin Salman, is also the first Saudi to fly in space, having flown on a shuttle mission in 1985. The Saudis also shook up the leadership of a number of government agencies. It is theorized though unproven that this shake-up is in connection with the murder of Jamal Khashoggi at the Saudi consulate in Istanbul in October. What this space agency will actually do is very unclear. 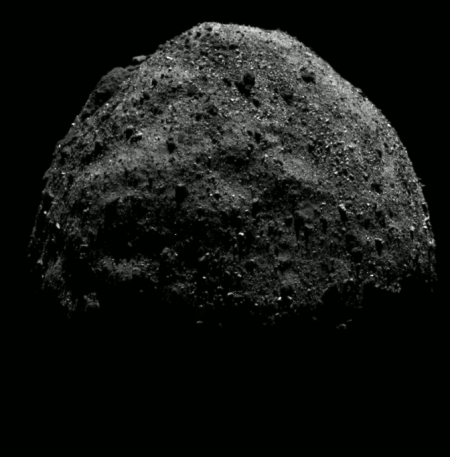 What is clear is that it was created in response to the aggressive space effort of the UAE. The competition has forced Saudi Arabia’s hand. An evening pause: Fitting for the end of the year. Stay with it. It isn’t exactly what you think, based on the start. 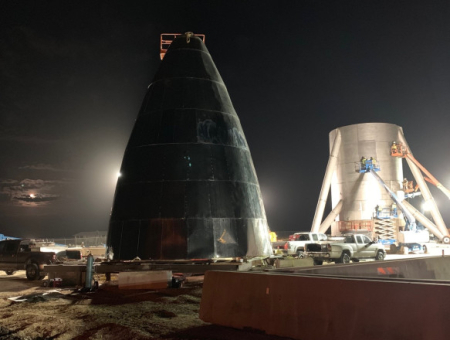 Capitalism in space: Elon Musk this week tweeted an image of the Starship test hopper, adding that they hope to begin test flights by March. It seems to me that Musk continues to embarrass all other rocket companies, both private and governmental, with his effective use of current technology to innovate and produce new designs. While everyone else seems locked into building the same old things, his company is using what it knows to try to build something smarter and more efficient. SpaceX’s track record suggests that it will do exactly what it is trying to do, even if it likely takes longer than they predict. Others should take heed, or they will all get left behind. Japan yesterday announced that it is quitting the International Whaling Commission, a global whaling regulatory body founded shortly after World War II to regulate commercial whaling that has instead in recent years attempted to ban all commercial whaling, except for favored native tribes in Russia and the Arctic. An IWC-Japan divorce is the culmination of a wide ideological divide at the commission between ardent anti-whaling nations and countries seeking recognition of limited commercial whaling activities as legitimate. The anti-whaling forces have the upper hand, even though IWC’s expansion has seen more pro-whaling countries joining in recent years. At the Brazil gathering, Japan had attempted to nudge the IWC toward reforms that would have potentially paved the way for a resumption of commercial whaling. The IWC was initially established to regulate whaling but has enforced an outright moratorium on commercial whaling operations since the 1980s in a desperate bid to prevent the extinction of several whale species. Many whale species have since recovered to a degree, but a few are still considered endangered. Japan’s reform push was easily voted down. Instead, a majority of IWC members voted to have the commission turn its back on commercial whaling for good. That successful resolution also condemned Japan’s scientific whaling practices, widely regarded as a clandestine commercial operation as Japan’s whaling fleet takes hundreds of whales each year, with the meat ending up in grocery stores and restaurants. IWC also approved subsistence whale hunts for Arctic aboriginal communities. The large Japanese delegation at Brazil didn’t hide its frustration. The government accuses IWC members of hypocrisy for allowing culture exemptions from the moratorium for Alaskan and Russian native groups, but not for Japan and Scandinavian whaling cultures. In other words, this commission has become increasingly political. Rather than focusing on protecting whale populations while allowing whaling by all parties, it has decided to pick and choose who can whale, and has decided to ban Japan while giving others the right to whale. This political bias is not much different than what was seen at the Paris climate accords. Those agreements put odious restrictions on U.S. commercial activity, while putting no restrictions on China and others. It was this political bias, totally divorced from any sincere effort to reduce CO2 emissions, that prompted Trump to exit that agreement. The new colonial movement: India has set a goal of two launches per month in 2019, a rate that would more than triple its previous high of seven. Though the article does not specify, I suspect that a large percentage of these launches will be suborbital test flights. Nonetheless, this goal is ambitious, and indicates a serious commitment to advancing their space effort. A Russian Soyuz rocket today launched 28 satellites, the bulk of which were commercial smallsats. The primary payload was two Russian Earth observations satellites. This should close out Russia’s launch total for the year, that country’s lowest yearly total since the very beginnings of the space age in the 1960s. An evening pause: Somehow, this seems appropriate following the holiday season. Dried mud cracks on Mars? Cool image time! The image to the right, cropped and rotated to post here, was one of the uncaptioned photographs in the December Mars Reconnaissance Orbiter (MRO) image release. If you click on the image you can see the entire photograph. I have cropped the most interesting area, though cracks can be seen in other areas in the image. What we appear to have here is a darker lower valley filled with dried mud, which over time has cracked as it dried. At its edges there appear to be ripples, almost like one sees on the beach as waves wash the shore. 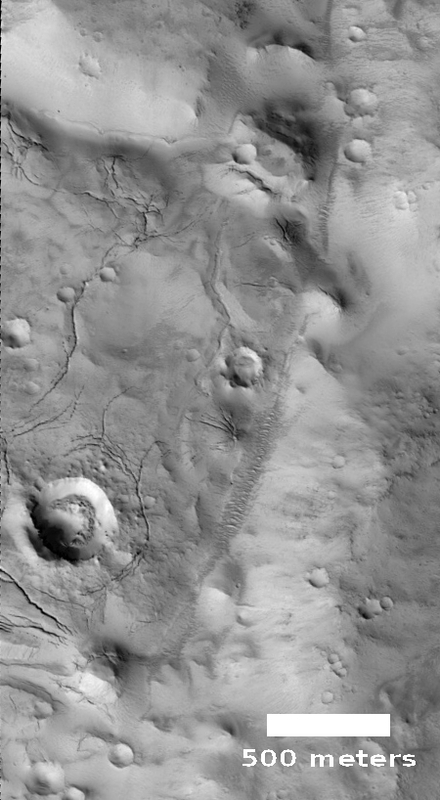 The perimeter slopes even show darker streaks as if the water in some places lapped up the slopes, and in others flowed downward into the valley. Later, several meteorite impacts occurred, the largest of which produced concentric dried cracks on its outside perimeter. This impact also provides a rough idea of the depth of the mud in this valley. Mud of course suggests that this lower valley once was filled with water. Was it? It is not possible now to come to a firm conclusion, but this image’s location shown by the red dot in the overview map below and to the right, provides a clue that strengthens this hypothesis. An evening pause: Once again, for my Christian readers, on this their Christmas holiday, with deep abiding good will. As I have done in the past, to celebrate this Christmas day I give you the classic 1951 version of Charles Dickens’ A Christmas Carol, starring Alastair Sim It remains the best version, by far. Dickens did not demand the modern version of charity, where it is imposed by governmental force on everyone. Instead, he was advocating the older wiser concept of western civilization, that charity begins at home, that we as individuals are obliged as humans to exercise good will and generosity to others, by choice. It is always a matter of choice. And when we take that choice away from people, we destroy the good will that makes true charity possible. The new colonial movement: China today used its Long March 3C rocket to launch a military communications satellite. This was China’s 37th successful launch in 2018, only three launches less than their predicted 40 launches for the year. It almost doubles their previous record of 20 in 2016. China leads in the national rankings, 37 to 34, over the U.S.
An evening pause: In good will, from a secular Jew, to my Christian readers. The last few days have seen numerous articles celebrating this iconic image. While all have captured in varying degrees the significance and influence of that picture on human society on Earth, all have failed to depict this image as Bill Anders, the photographer, took it. He did not frame the shot, in his mind, with the horizon on the bottom of the frame, as it has been depicted repeatedly in practically every article about this image, since the day it was published back in 1968. Instead, Anders saw himself as an spaceman in a capsule orbiting the waist of the Moon. He also saw the Earth as merely another space object, now appearing from behind the waist of that Moon. 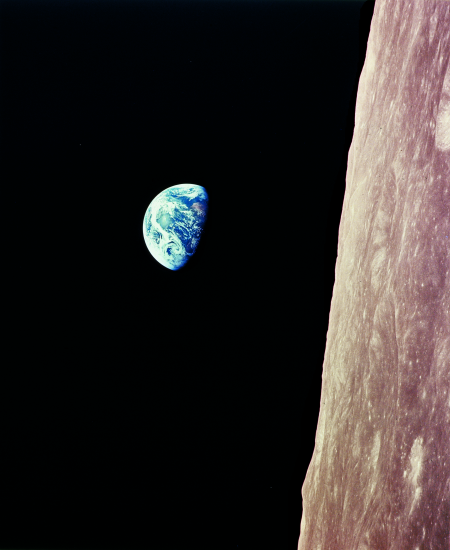 As a result, he framed the shot with the horizon to the right, with the Earth moving from right to left as it moved out from behind the Moon, as shown on the right. His perspective was that of a spacefarer, an explorer of the universe that sees the planets around him as objects within that universe in which he floats. When we here are on Earth frame the image with the horizon on the bottom, we immediately reveal our limited planet-bound perspective. We automatically see ourselves on a planet’s surface, watching another planet rise above the distant horizon line. This difference in perspective is to me the real meaning of this picture. On one hand we see the perspective of the past. On the other we see the perspective the future, for as long a humanity can remain alive. I prefer the future perspective, which is why I framed this image on the cover of Genesis: the Story of Apollo 8 the way Bill Anders took it. I prefer to align myself with that space-faring future. And it was that space-faring future that spoke when they read from Genesis that evening. They had made the first human leap to another world, and they wished to describe and capture the majesty of that leap to the world. They succeeded beyond their wildest dreams. Yet, they were also still mostly Earth-bound in mind, which is why Frank Borman’s concluding words during that Christmas eve telecast were so heartfelt. He was a spaceman in a delicate vehicle talking to his home of Earth, 240,000 miles away. “And from the crew of Apollo 8, we close with good night, good luck, a Merry Christmas, and God bless all of you — all of you on the good Earth.” They longed deeply to return, a wish that at that moment, in that vehicle, was quite reasonable. Someday that desire to return to Earth will be gone. People will live and work and grow up in space, and see the Earth as Bill Anders saw it in his photograph fifty years ago. And it is for that time that I long. It will be a future of majesty we can only imagine. Capitalism in space: In launching an Air Force GPS satellite today, SpaceX successfully completed its 21st launch of 2018, the most ever achieved in a single year by a private company, ever, beating the record the company set last year by three. The company has been so successful that many will take this achievement for granted. They should not.Ten years ago SpaceX barely existed. In that short time it has revolutionized the rocket industry, and recaptured for the U.S. the commercial market share that was lost by the older American rocket companies to Russia and Europe, because they were fearful and lazy and refused to compete. The result however has not been zero sum. Launches in total have increased, and the potential for a revitalization of space exploration for everyone has not been as good since the 1960s. I know this will make some groan, but the sky now is literally the limit. You can watch a replay of today’s SpaceX launch here. China leads in the national rankings 36 to 34 over the U.S. At the moment only one more U.S. launch is scheduled, so it appears China will hold that lead. Stay tuned for my annual assessment of the launch industry, coming the first week in January. Compare and contrast: Unlike the Obama administration, which went out of its way to inconvenience the public during government shutdowns, to an extent that it actually cost the government money, the Trump administration is leaving the national parks open to the public during the shutdown, even as it shuts visitor centers. “When you arrive at the park, both visitor centers will be closed. This is because due to the lapse of appropriation, we do not have money to pay for staff, so any facility that requires staff presence is going to be closed,” said Andy L. Fisher, a park ranger at Saguaro National Park. That includes the contact station, the education building and programs, and ranger-guided walks and hikes. “If you come out to one of the trail heads and plan on going for a hike, we’re not go to close the trail heads. We’re not going to chase you off the trails, the roads are going to continue to be open,” said Fisher. This approach by the Trump administration is the morally correct one. The shutdown means they don’t have the money to run the government. It does not mean the parks can’t be accessed. They belong not to the government but to the American people. If there is no money to pay the government workers, that just means there will be no government workers at these parks. The parks themselves should remain open for public use.